Men’s Style Lab is a concierge shopping service whose name I’ve been hearing a lot of lately, so I decided to investigate. The first noteworthy feature of Men’s Style Lab sets it apart from most of the you-don’t-have-to-go-to-the-mall-to-get-clothes companies out there (like Fashion Stork and Trendy Butler) is that MSL is not a subscription service. 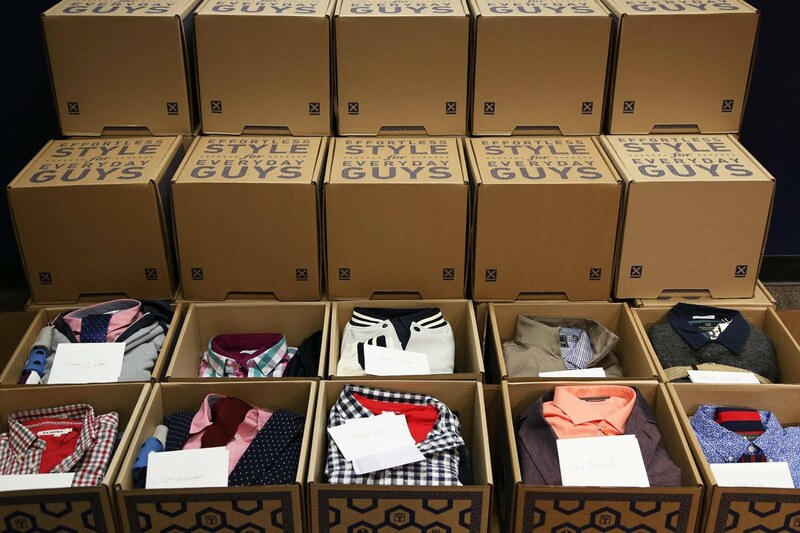 You contact them when you need clothing, and they deliver a curated package of clothing to your door. You get some different choices when you sign up, starting with who you are…”Least fashionable guy in the room,” “busy professional with no time to shop,” “partner of someone who needs help,” to name a few. I selected, “interested in trying a personal stylist,” because I’ve been, well, interested in trying a personal stylist. I actually do pretty well in the clothing arena, but I’ve been curious to know if I can up my game with a little help from a professional. Next, I had to pick from different looks that represented my style. There was “casual,” “functional,” “professional” and “creative.” The casual and creative resonated with me, so I chose those two. I whacked bright colors and slim fit jeans…they’re just not my style. There was also an open-ended section in which I could make any specific points and requests. Also, I got to chat with my personally assigned style advisor, and during those two opportunities, I let Men’s Style Lab know that I wanted some sharp-looking outfits to wear out for the evening. I’m not a clubbing or bar-going type of guy. I’m more of the bookstore, coffee shop, out to dinner, gallery-opening sort of fellow, so I was looking for outfits that would dress me for those type of occasions. What I found appealing about this particular concierge service was that the prices were supposed to be reasonable--- in the range of a Banana Republic ---for the average man. My style package contained a blazer, a pair of jeans, a pair of slacks, two button-downs, two sweaters, and four pairs of socks. The clothing was packed such that the shirts and sweaters and socks were groups as outfits that went well together. Honestly, it was a pretty cool presentation. And the clothing was very nice. The combinations pushed my style sensitivities to the limit, especially the socks. But that was good, and what I was looking for…something new. Like a lot of these services, you are afforded five days to try things on, then you must send them back or buy them. In order to get a 20% discount on the clothing, you must keep all of it. Every single piece. Otherwise, you have to pay the list price for all of the outfits. Furthermore, if you send it all back, you have to pay a $25 styling fee. I understand that they can’t be doing all this work, picking things out and shipping it off without making any money, but it makes the service a little less appealing overall. All in all, I have to give the Men’s Style Lab a negative review, but with certain provisions. The negatives for me were the prices and the amount of clothing that you need to keep to earn the discount. For a service that advertises itself as affordable to the average guy, this isn’t really acceptable. Nor is the $25 style fee. Again, I understand why they have to charge it, but if I am on the fence about the service and able to style myself to a large degree (as I am), it’s enough to make me look elsewhere for clothing. 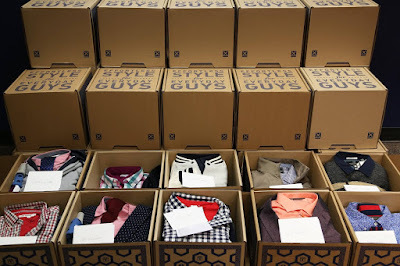 But, if you need fashion help and you’re looking to keep all the clothing you get to build a wardrobe, Men’s Fashion Lab (https://mensstylelab.com/) might be for you. However, all in all, it’s not for me.